The Euro coin that is now circulating in Vatican City! 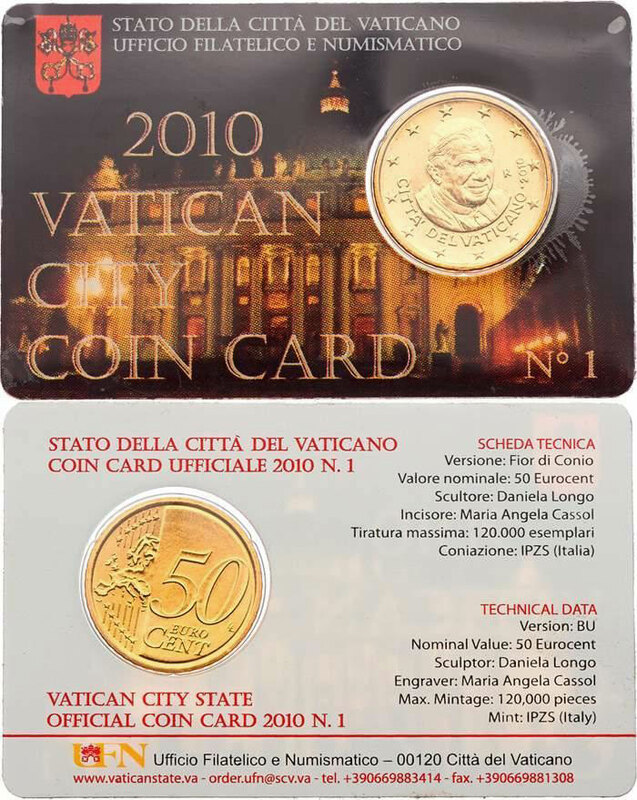 The 50 Cent Euro coin presented by the Vatican Numismatic Office, for the first time, in a Coin Card. B/U condition. Mintage of the Coin Card is limited to 120,000 pieces.